Regarding the plastic granules, the drying method of the bottle flakes mainly includes dehydration drying, heating drying, etc., and different drying methods are adopted for the characteristics of different plastic materials. Vertical type Dryer Mixer with heating system is very good way of drying for plastic flakes and pellets. 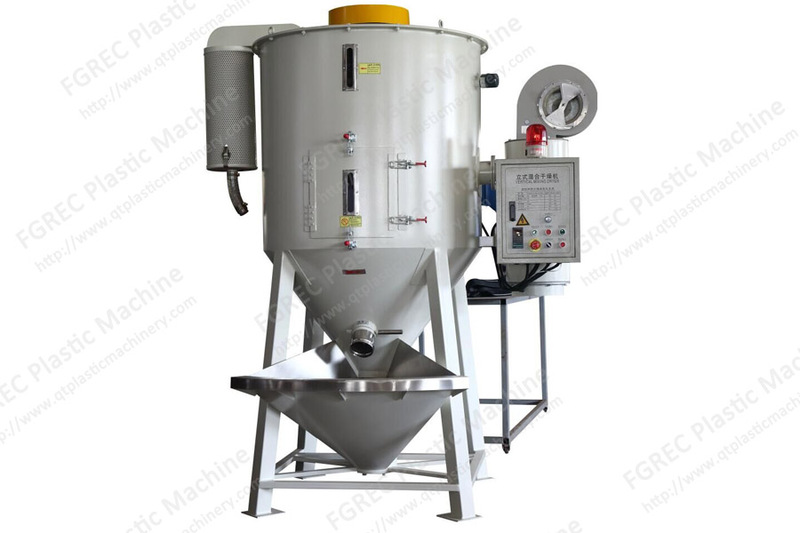 In view of the use of plastic pellets for film blowing, extrusion, etc., customers generally worry that the water content of plastic pellets is too high, so that there will be a series of problems such as “fisheye” and “foaming” in the production of finished products, and due to plastic recycling. In the process of granules, due to the instability of the raw material source, the color of the plastic granules is not uniform, which causes buyers to worry about the quality of the granules, color and other factors are unstable, affecting the transaction process and the price of the granules. This plastic lifting mixing dryer completely solves these two problems. The internal lifting screw can send the bottom particles to the top to be sprayed out. After hot air drying, the moisture content of the particles is effectively reduced, and the plastic particles are continuously improved. Effectively mixed, so that the mixed particles are uniform in color and stable in quality to achieve the desired effect.